Just a few weeks until Christmas is here, lets see what gifts for Husband, Wife, Brother Sister, Mother Father we have! 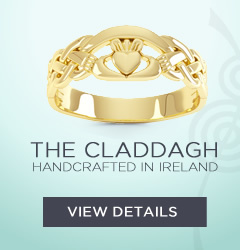 Irish rings also give out certain messages about the wearer's romantic condition. These are popularly known, so be sure you are giving the right signal!